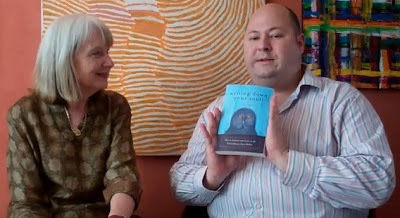 Welcome to the seventh video discussion from the Universal Heart Book Club - where your co-hosts Stephanie Dowrick and Walter Mason discuss our special finds of the month. This month each of us (quite independently!) chose books that offer a wonderful depth of thought and openness on reading, writing, reflection and the unfolding gaining of often life-saving insight. 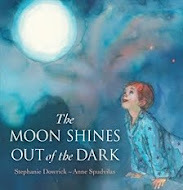 The books are Janet Conner's 30-day exploration of deep journaling, Writing Down Your Soul and Kim Rosen's exceptional adventure in reading poetry and discovering its literal "saving graces", Saved by a Poem. You will also find our written reviews of these two accessible, beautiful books below, as well as a range of other very fine articles including Jane Goodall's hosting of our new and very special feature "The Reading Life". (And have you noticed our fabulous new banner above, designed by Melbourne graphic artist Marko Cakarevic? We love its exuberant brightness!) As you read the books we feature each month, please feel free to share your views in our comments section. It's easy using "Anonymous" if you don't have Google email. Those conversations are essential to this being the "book club" we envision. Many thanks to our dear friend William Suganda for the marvellous job he has done filming this short conversation. Use the "Blog Archive" feature above right to access any of our 60-plus articles, including earlier videos. Or use "Search this Blog" to find another article by one of our many fine writers. 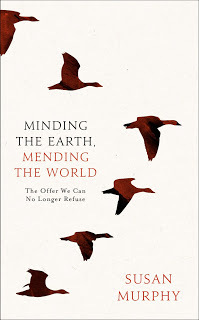 For example, this month we have a most thoughtful review by Juliet Batten of Susan Murphy's Minding the Earth and earlier we had an excellent article by Susan on writing that important book. To purchase any of the books we feature or any other book you are seeking, you can take advantage of our bookstore links (above right). The small % returned to us supports the Universal Heart Book Club. Stephanie Dowrick is sure you can indeed be "Saved by a poem"
Kim Rosen's Saved by a Poem is a glorious book and one that you can re-read and revel in over many years. You will also "receive" poetry differently thanks to it, and with vastly increased pleasure, thanks to the CD that accompanies it. But as I write this I realize that I am not trying to convince those of you who have already discovered the sublime gifts of poetry - the greatest of the literary arts - but, rather, those of you who may still be standing on the edge, not quite ready to jump naked into poetry's depths. I had those readers also in my mind when I wrote my own spiritual study of visionary poet, Rainer Maria Rilke, In the Company of Rilke (and the doctoral work that preceded it). I felt like a missionary sometimes, wanting to spread the "Good News" that at least one version of salvation was as close at hand as the perfection of words on a page! For beyond the pleasure and resonating delight that true poetry offers, it frees us also to gain unparalleled insights about thinking and consciousness itself; to catch more than glimpses of where the "mind" can take us; to liberate ourselves from the mundane, the banal, the stale, the dulling that is everywhere around us. And all that through a trail of words lying, not quite innocently, on a page! 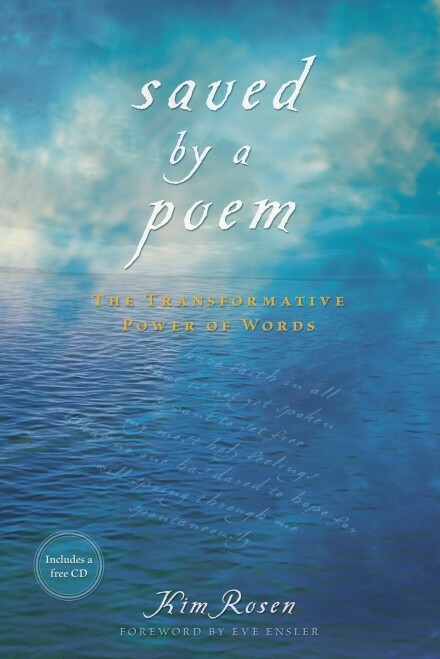 Rosen, too, is absolutely convinced of the power of poetic language and insights to change lives for the better. And perhaps her conviction is all the stronger because, in her own words, she "didn't always like poetry"! Poetry had to win her over; it has done so. In one of many, many anecdotes Rosen describes an optometrist's assistant who "told me that poetry brought her back from a nervous breakdown, when she was 'hanging by a thread' after the untimely death of her brother." The woman told Rosen: "I memorized all of Shakespeare's sonnets. They literally saved my life." This does not surprise me. Peta Kelly and others have written on this blog about the power that reading has to shift our attention in a more hopeful direction, to take us "out of ourselves" - and return us to ourselves if not whole at least somewhat mended. In another of my own books, this time Forgiveness and Other Acts of Love, I wrote passionately that what we pay attention to grows stronger in our lives. It is true. Oh, it is true! In another brief, moving anecdote Rosen describes Sonja, a political idealist and factory worker, who said of her factory experience: "Everyone had their own way of surviving. Some people did it by drinking, drugs, music, fantasy and many things I never found out about. I survived by doing political work and my poetry." Rosen explains this: "Before she left for work every morning, Sonja would choose a poem she wanted to learn by heart…She'd write in letters as small as she could manage on a tiny piece of paper.It had to be tiny because she couldn't risk being caught…"
That reminds me of a vivid memory of my own, of teaching writing many years ago in rural Tasmania and feeling moved almost to tears by one woman quietly describing how her monotonous, lonely work sorting eggs on her family's chicken farm was made tolerable by having a pen and notebook constantly by her side where she would, from time to time, note a poem she was learning, or add words to a poem she was creating. Our need for the pause, for space and spaciousness, for reflection are what poetry teaches us. And that's what this rich, lovely book also makes clear: that, if we allow and welcome it, the poetry itself teaches us. It may even, as Rosen so touchingly desires, save us. We have work by or about poets Jane Hirshfield, Mark S. Burrows, Rumi, Rainer Maria Rilke, Basho and others on this blog. Just put their names into "search this blog" for more glorious treats. To purchase Saved by a Poem (book and CD included) or any other book you are seeking through our bookstore links (above right). The small % returned to us supports the Universal Heart Book Club. We would also love to hear from you...we treasure your comments and responses. Post your comments below. If you don't have a Google email, just use "Anonymous" (and do put your name in the text box if you would like to). Follow the “captcha” instructions noting that it’s always two "words" with a space between. This will save us from spammers. Should be easy! I have always been a compulsive note-taker, list-maker and keeper of journals. Over the years I have done my morning pages, kept gratitude and prayer journals and followed the program of Dr. Progoff. All of these methods have helped me immeasurably, providing an ultra-cheap form of therapy that allowed me to spend some quality time with myself and my thoughts. That's why I grabbed up Janet Conner's Writing Down Your Soul with such enthusiasm as soon as I heard about it. It's an honest, revealing and totally engrossing account of the posssibilities of keeping a journal specifically for the purpose of communing with your inner-self, that great mysterious and multi-named connecting power that Janet Conner calls the Voice (note that upper-case "V"). Throughout Writing Down Your Soul Janet Conner provides a practical program for establishing a contemplative journaling practice that stretches out over a 30-day period. But the book describes so much more than that. It is an account of Conner's own journey and her discovery that writing a journal that specifically addresses the spirit is a potentially transformative process. Sharing with the reader her own traumatic experiences of domestic abuse and marriage breakdown, Conner tells us that it's all right to have negative emotions and to be honest about experiencing them. What the Writing Down Your Soul process allows you to do is to express those fears, furies and negative wishes on paper and thereby deal more honestly with emotional states - and attempt to find a way out of destructive patterns. Journal writing is probably the safest form of venting there is and, as Conner writes, so many of those troublesome thoughts and worries are better out than in. "Do you want to have the conversation with the Voice now, before things are truly dreadful, or do you want to wait?" she asks. And conversation is the right name for the process Conner describes. It is about writing down internal conversations, with your self and others, and also, most importantly, with the mysterious and profound force that permeates our lives. In the book she offers a very thorough section of challenging and stimulating questions to ask yourself during the journaling process and these alone could keep you busy for the best part of a year. That's what makes Writing Down Your Soul such a satisfying, and such an important book. It is not about an instant program of self-renewal. It is much more profound and affecting than that, and it is a book I can see myself working with for many years. And if, like me, you have found yourself drifting away from journal writing as a part of your spiritual life, it will provide you with the perfect excuse to pick up your pen once more and get going. Conner's affable charm and compassionate nature are obvious throughout the book, and there is a constant and helpful practical emphasis in her writing. She discusses, for example, the benefits of handwriting over word processing when it comes to recording personal journals. Look for what intimidates you, what frightens you, what stops you in your tracks. Listen for what keeps happening over and over again. I am certain that so many of you are ready to read this book. Make a gift of it to yourself, and put aside the time and commitment to follow its method You will not regret it. You can purchase Writing Down Your Soul or any other book you are seeking through our bookstore links (above right). The small % returned to us supports the Universal Heart Book Club. We would also love to hear from you...we treasure your comments and responses. Post your comments below. If you don't have a Google email, just use "Anonymous" (and do put your name in the text box if you would like to). Follow the “captcha” instructions noting that it’s always two "words" with a space between. This will save us from spammers. Should be easy! Jane Goodall hosts our new feature: "The Reading Life"
In an exciting new development for the Universal Heart Book Club, "The Reading Life", award-winning writer, superb writing teacher and life-long reader Jane Goodall invites you to write, talk, share and enrich your own reading life. Jane will present you with a new invitation most months. We would love you to accept it! This month's theme is "the READING RETREAT". Does that get you thinking? We would particularly welcome your comments and participation. That phrase – ‘lives to read and reads to live’ – has stayed in the reservoir of my memory and every time it surfaces I am struck by how there is something absolutely right about it. If you take just the first part, ‘lives to read,’ it might express some form of escapism, a resort to the world of books as a substitute for the world in which we conduct our daily lives. But then comes the second part of the equation, ‘reads to live,’ and that assumption is turned on its head. The world of reading is the same as the one in which we live and breathe and have our being. It is not separate, any more than blood is separate from flesh, or water from air. Through reading, the life of the mind circulates and brings new energies and insights to how we act. These may be quite subtle, but they may also be enduring and sustaining. Reading, like writing, is a form of communication, and as the silent partner in the exchange, is too often taken for granted. Without readers, a book is a gift only to its author. It is readers who make it live and cause its vital qualities to be released. So welcome to The Reading Life, a new space in the Universal Heart Book Club devoted to conversations about reading. Each month we will have a theme or question to explore and we would love to have your contributions. This month’s theme: “The READING RETREAT”. If you were to go on a reading retreat, where would that be? And what three books would you take with you? 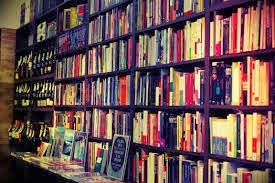 They may be books you want to re-read, or books you have always meant to read; books that are a special challenge to your concentration, or books that are sheer escapism; novels, volumes of poetry, travel books, memoirs; books from your childhood, or books hot off the press. Think about what would make a good combination and sustain you over a week. Perhaps above all else, make your choices fairly instinctively and let yourself be surprised. Once you have chosen your ideal place, and the books that will go with you, share your thoughts with us. 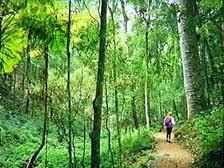 For a place, the Bunya Mountains in Australia’s South East Queensland. There are cottages for rent, with wood fire stoves and many wonderful reading spots: decks overlooking the hillside, garden tables, a fireside corner if it is cold, and a rustic café nearby. And there is rainforest to wander in when you need a break from the books, to just think and re-live what you have been reading. And for my choice of books? Something huge – Les Miserables by Victor Hugo. It's a true epic, a marvelous weave of inter-generational story lines and revolutionary politics, with strong human themes. As it's 1200 pages long, it's definitely one for the retreat. Something current – Barbara Kingsolver's Flight Behaviour. This is partly because the ecological themes attract me, but it is also a tribute to the Universal Heart Book Club. This was given a special recommendation in December 2012 by Stephanie Dowrick and Walter Mason, who are such excellent judges of fiction. And now, let's hear from you! Your special place? Your special book choices? Jane Goodall is one of Australia's most talented essayists and critics. She is also a successful novelist, a truly gifted, thoughtful writing teacher and, for many years, an academic with a particular interest in theatre. Put her name into our "Search this blog" above and find her other wonderful contributions here. Jane Goodall with her gloriously smiling dog. Walter: Could you tell us some books you loved when you were a child or a young woman? 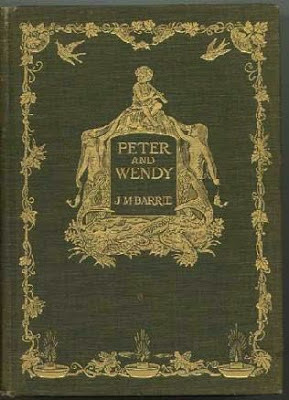 I adored Peter Pan and read it compulsively. As a young woman I loved D.H. Lawrence, Doris Lessing and some of the Americans [including] Steinbeck. My fave was British author Graham Greene but I reread him recently and found him a very depressing author which is not surprising considering he himself suffered from depression. Any books you’d like to recommend now? Not really! I no longer read as widely as I once did. I wonder, too, if books aren’t a bit similar to that suggestion from the Buddhists that ‘When the pupil is ready, the teacher appears’? A work that sings for me, might not sing for you. I read mostly non-fiction now. Have you ever been inspired by a self-help or spiritual book? The publications from the AA and Al-Anon fellowships are extremely helpful and got me through the early days of recovery nearly 30 years ago now. There is a lot of wisdom there and it’s not aligned with any sect, denomination or creed. 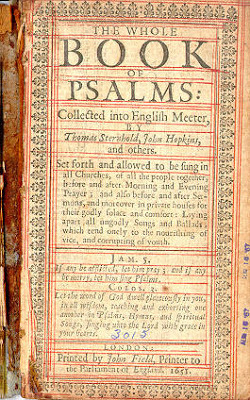 I find the Psalms can be friends in moments of sorrow and, in the past, I have also found the Old English elegies comforting in a dark kind of way. Gabrielle Lord has written fourteen adult novels and a series of novels for young adults called Conspiracy 365. You can buy Gabrielle's or any other books through our bookstore links, above right. Your comments also support your Universal Heart Book Club. Poet and prose writer James Charlton shares his ideas about one of Europe’s most creative thinkers: Meister Eckhart. James is the author of Non-dualism in Eckhart, Julian of Norwich and Traherne: A Theopoetic Reflection (Bloomsbury, 2013). 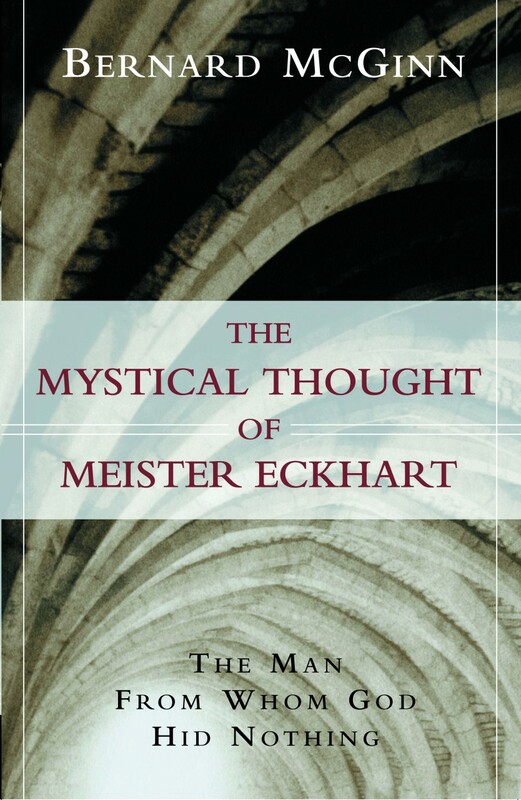 Co-host Walter Mason asked James Charlton to share his thoughts on this magnificent mystic and thinker with our Book Club - and on Bernard McGinn's The Mystical Thought of Meister Eckhart which James found helpful in his research into those three European mystics. Was Meister Eckhart a "Buddhist"? Large numbers of book-lovers know about Eckhart. But when they’re asked to name a single book which ‘captures’ this 14th-century mystic, they’re stumped. I admit to being one of the stumped. Too paradoxical to be ‘captured’, Eckhart is a major ingredient in the large recipe of Western spirituality. But unless we’re experts in Middle High German and Latin, we have to rely on the work of others. And they all have an agenda, or (much worse) a preoccupation with a vain (peculiarly male?) effort to be ‘objective’. Among writers in English who specialize in Eckhart, Bernard McGinn - author of The Mystical Thought of Meister Eckhart - is (in my mere opinion) the best. A recurring question: was Eckhart a "Buddhist" in the guise of a Christian monk? The answer, despite the wishful thinking of many, is ‘No’. He smells and tastes like a Buddhist. But when he’s eaten, his non-dual Christianity is very evident. Yes, non-dual Christianity! This was the Western heritage before its distortion by the churchly ancestors of the likes of Cardinal George Pell. 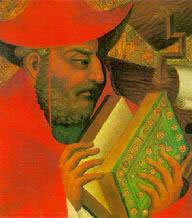 Eckhart was immersed in Augustine, although he doesn’t share the so-called Augustinian pre-occupation with original sin. He was conversant with Thomas Aquinas, although he lessens the perceived Thomistic gulf between the divine and the human. The most 'Buddhist’ aspect within Eckhart is his declaration that there is no such thing as a separate 'me'. In our more enlightened moments (he writes), we all know this to be true. The enlightenment to which he refers is instigated and brought to maturity by the Spirit of the Christ. This Spirit is not swirling around ‘out there’. It’s already ‘in here’. Hence his well-known lines to the effect that to find ‘God’ is to find oneself, since to find oneself is to find the True - and the True is ‘God’. Eckhart writes: ‘My deepest me is God.’ Such quotations demand a context. What does he mean by ‘God’? How might his theology intersect with his anthropology? If questions such as these are of interest, Bernard McGinn is the author to turn to. God is not only One, but a dynamic process. This is a radical position. At a stretch, Eckhart might be called (along with A. N. Whitehead) a founding figure in process theology. The birth of the ‘Son’ will manifest itself (within a detached, open hearted person) as the enacted experience of altered behaviour. We’ll no longer attempt to maximize every circumstance of our lives. Instead, we’ll realize who we really are. Here, in time, we are celebrating the eternal birth which God the Father bore and bears unceasingly in eternity, because this same birth is now born in time, in human nature. St Augustine says: ‘What does it avail me that this birth is always happening, if it does not happen in me? That it should happen in me is what matters. Eckhart has no difficulty locating passages in the New Testament which reveal the original non-dualism of Christian thought. For example, he employs Gospel passages in which Jesus seems to infer that children are one with the divine. A child will naturally extend its arms when seeking the embrace of its mother or father. Similarly, Eckhart calls for epektasis on the part of adults: literally a stretching forward toward the divine embrace (Phil. 3:13). Dualism is transcended. And Eckhart is not thinking of any ‘heaven’. Nor is he thinking, primarily, of a particular indwelling of ‘God’ through the Spirit. If anyone were to ask me: Why do we pray, why do we fast, why do we do all our works, why are we baptized, why (most important of all) did God become man? – I would answer, in order that God may be born in the soul and the soul be born in God. There are precedents for this style of theological expression. Maximus the Confessor and other (somewhat) non-dualistic theologians believed in the potential divinization of humanity [humans identifying with their divine, eternal or soul inheritance]. The Council of Chalcedon had stated that each human being possessed an inherent capacity to be divinized. Eckhart uses the phrase ‘Ground of the soul’ repeatedly, as a synonym for the deepest ‘heart’ of each person. This ‘Ground’ is beyond name and form; it is in the world and yet transcendent. The story of the Incarnation implies a full participation by Christ the ‘Son’ in this human ‘Ground of the soul’. When we enter the ‘Ground’, we not only encounter the ‘Son’ but we become the ‘Son’ ourselves. Following his interpretation of Augustine, Eckhart regards a physical, historical incarnation as less significant than an ‘inward’ incarnation. In his discussion of the relationship between the divine and the human, Eckhart is highly paradoxical. On the one hand, the relationship is distinguishable; on the other, it is indivisible. It is the true Self (and not the lesser ‘separate’ self) which participates in the divine. And in his high valuation of all sentient beings, Eckhart is strikingly ‘postmodern’. 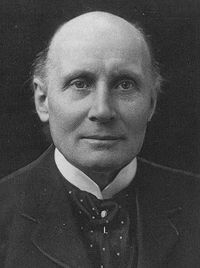 He is also ‘postmodern’ in his scrupulous use of citation and in his employment of doubt as a means of arriving at truth. In my view, he dislikes fixed categories of ‘belief’ but can’t afford to declare his hand fully. Go entirely out of yourself for God’s sake, and God will go entirely out of himself for your sake. When these both depart, what remains is a simple One. In this One the Father gives birth to his Son in the innermost source. I think he’s telling me this: I’m drawn by immanent Love to a kind of crisis point. I glimpse the difficult truth that my separate ego is an illusion. Eckhart does not use the word ‘ego’. He uses the Middle German ‘mit Eigenschaft’ which means ‘with attachment to self’. It is this attachment which prevents the direct experience of being loved by/in Reality. Opening out to Reality, the illusion of a separate existence is transcended. James Charlton notes that Bernard McGinn's The Mystical Thought of Meister Eckhart is not a light read; nor is it cheap. More than one third of the book consists of Notes, Bibliography and Index. We also suggest Matthew Fox's Meditations with Meister Eckhart as a starting point. You are welcome to leave your comments here. 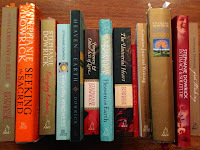 Or to support this Book Club by purchasing these or any other books through our book store links (above right). 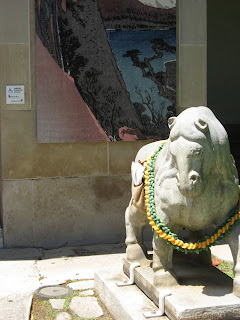 John Brandi - Water Shining Beyond The Fields: Haibun Travels, South East Asia. Jan Cornall writes: Before I tell you about this wonderful book, I have to tell you how I found it. In 2009 I set off on a six-week journey through SE Asia. For the first part I was following the footsteps of my literary icon, the French writer, Marguerite Duras, (The Lover) through Vietnam. She was born in 1914 to French school teacher parents who were living and working near Saigon (when Vietnam was part of French Indochina) and she spent most of her first seventeen years growing up in small towns along the Mekong River. I started in Hanoi, searching for the ‘house near the small lake’ that Duras lived in as a four-year-old. I didn’t find it, but it did prompt the beginning of my SE Asia bookshop crawl, as I went searching for clues in any bookshop I came across. In the process I found some other book gems, so perfectly in-sync with my trip that I often felt they were placed on there just for me. John Brandi’s haibun journal was one such find. I was fresh from the two-day boat trip up the Mekong River from Saigon to Phnom Penh when I wandered into Monument Books, a large aircon emporium of great books (and as I was to discover, with branches also in Laos and Myanmar). Whether it was the cover, the title, the size, the paper, the pen and ink haiga drawings, that made it leap off the shelf into my hand, didn’t matter. I knew my trip was worth it just to find this book; a haibun travel journal written about the places I was travelling to. Too perfect! After reading (no, savouring) Brandi’s book, haibun has become my favourite genre. Haibun is a prosimetric (def: combining prose and poetry) form of descriptive writing that can be traced back to the Japanese poet Matsuo Basho. He used it in his own travel journals, most notably his famous Narrow Road To The Interior. 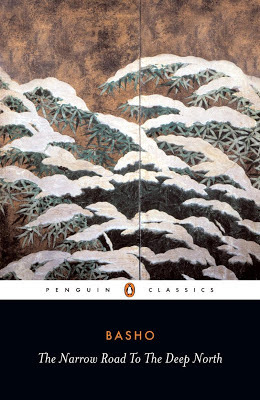 In haibun the author describes a place, an event, person or scene in a paragraph or more, then punctuates it with a haiku ( a Japanese three line poem). The haiku shouldn’t merely repeat the description but take the reader to a deeper level of reflection and perception. (Modern haiku allows the poet all sorts of leeway and deviation from the strict 5-7-5 syllable rule; see Cor van den Heuvel’s excellent English language collection, The Haiku Anthology). John Brandi is a master at this. Born in California in 1943, he is an inveterate traveller/painter/poet who traces his influences to the West Coast Beat tradition, Federico Garcia Lorca and the Japanese haiku masters. 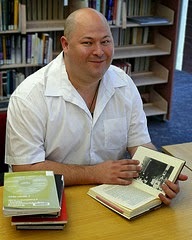 His work, published by numerous small presses and journals in the US has won a number of awards. These journeys were recorded as they unrolled, details usually scribbled in spiral note-books on a bus, in a temple corner, cliff hopping, riding a bike rambling markets or ducking underneath a verandah in the rain. Late evening or next morning, crosslegged on the floor, in a cafe, or on a rare chair before a desk, the scribbled prose blocks, with occasional haiku in between, would be transferred to a larger notebook. At home, after travels, I took to transcribing the journals. Donkey work at times, but mostly a pleasurable chance to relive the journey and discover where, exactly, I had been - from a comfortable distance. The biggest effort was to remain true to the notebooks, the immediacy of the first hand “takes” - no alterations to make the travels into something they weren’t . The fact that he was describing a similar process of writing to the one I was practising on my travels was affirmation enough, but when I stepped into his haibun writing, all I could feel was excitement. 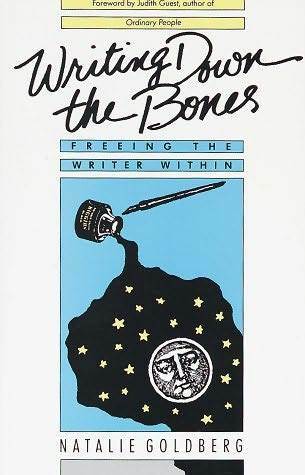 Brandi records what he sees, makes lists of concrete detail, evokes the senses: taste, scent and texture, in the same way Natalie Goldberg advises writers to do in her Zen classic: Writing Down The Bones. He even turns others’ thoughts into a haiku as he retells a conversation his Angkor Wat guide, Ponheary Ly, a genocide survivor (who I met on my next trip). One of my favourite passages describes his last night in Phnom Penh. A couple of days later I tucked Brandi’s book tightly under my arm and set off for Angkor Wat. No Lonely Planet Guide for me, but the words of a poet leading me through temple ruins which for hundreds of years had lain hidden beneath the Cambodian jungle. 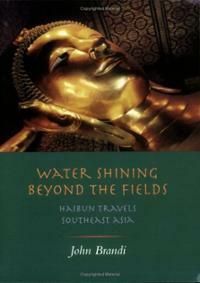 Italicised text is from Water Shining Beyond The Fields - Haibun Travels, South East Asia. 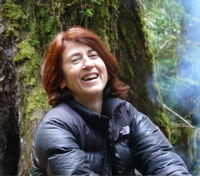 Jan Cornall is writer, performer and teacher who leads writing retreats in inspirational locations: Fiji Bali, Laos, Cambodia, Burma, Morocco. A regular guest at festivals in the Asia Pacific region, Jan has performed her spoken and sung word at Ubud Writers Festival, Utan Kayu Literary Biennale (Jakarta), Hong Kong Literary Festival, Irrawaddy Literary Festival (Burma), Darwin's Wordstorm, QLD’s Reality Bites. 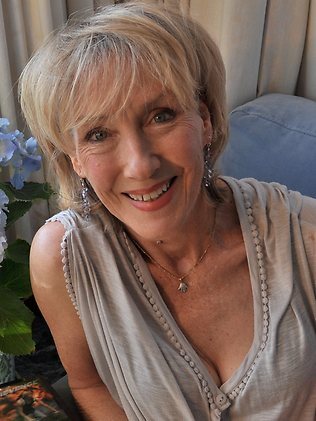 Her novel Take Me To Paradise (set in Bali) was launched at Ubud Writers Festival in 2006. Jan is currently working on a book of short stories with Indonesian author Triyanto Triwikromo and a travel memoir that follows the footsteps of Marguerite Duras in Indochina. Sacred Song, Sacred Story - Fes, Morocco. June 7 -15 (arrive 6th, depart 16th). A writing retreat incorporating the annual Sacred Music Festival of Fes. This year's festival will be headlined by songstress/storyteller Patti Smith. You can purchase books mentioned or any others through our bookstore links (above right). The small % returned to us supports the Universal Heart Book Club. We would also love to hear from you...we treasure your comments and responses. To post your comments: if you don't have a Google email, just use "Anonymous" (and do put your name in the text box if you would like to). Follow the “captcha” instructions noting that it’s always two "words" with a space between. This will save us from spammers. Should be easy! Linda Funnell has had a long and illustrious career in publishing and Universal Heart Book Club co-host Walter Mason was keen to ask her what books she would recommend to inspire and help authors who'd like to get more serious about their craft. These are the books she suggests. 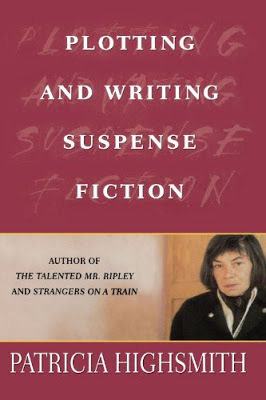 Carmel Bird Dear Writer - This is an excellent guide to writing fiction. One of the first and one of the best. Strunk & White The Elements of Style - Concise and indispensable. Every writer needs this. Noah Lukeman The First Five Pages: a writer’s guide to staying out of the rejection pile - Written by a literary agent, this is particularly good on highlighting common mistakes. 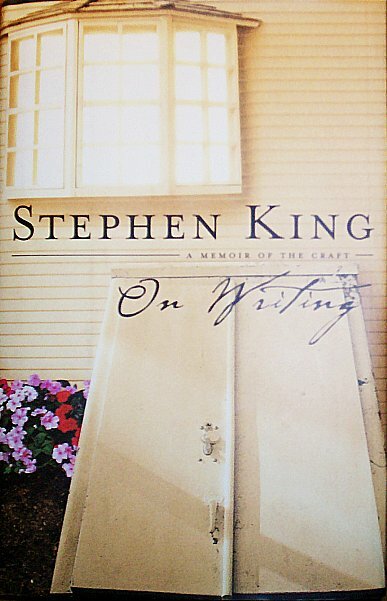 Stephen King's On Writing - Irrespective of the genre you are writing in, this is an excellent account of the creative process. Patricia Highsmith Plotting and Writing Suspense Fiction - Particularly good on genre, and on what happens when a book gets rejected. There are also some terrific essays, such as Jacqui Dent’s on the vexed business of calling yourself ‘a writer' in The Emerging Writer: an insider’s guide to your writing journey which was published by the Emerging Writers’ Festival, held at the NSW Writers' Centre in 2012. 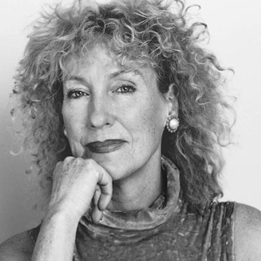 Linda Funnell is Chair of the NSW Writers' Centre and one of the editors of The Newtown Review of Books. She has over 30 years experience in the book publishing industry, including roles as a publisher, editor and literary agent. Reader & writer activists: we would love to hear which books have been most practically helpful - as well as inspiring - for you. We have some excellent articles on this blog, including Joyce Kornblatt's exceptionally thoughtful article Three great writers on writing. You can purchase any of the books mentioned - and any others - via our book store links (above right). And we want to hear from you! Use the comments box below (use "Anonymous" if you don't have a google email address). Peta Kelly is an avid reader, a former teacher-librarian, a current student - and a cancer survivor. Like so many of us, she allows books to be her companions - and sometimes her support. 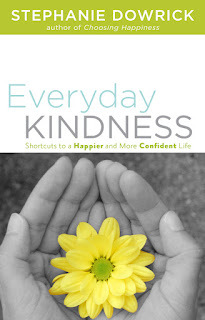 Here she shares the experience of returning to two favourite books - EVERYDAY KINDNESS and THE CONSOLATIONS OF PHILOSOPHY - with needs that have changed since her first reading. Recently I had another health pause enforced on me and was looking through my shelves for a little bibliotherapeutic consolation. I had been inspired by reading a blog entry by Kerrie Lee Power on A Nun's Life (this LINK takes you to it), on learning to 'let it be', 'just Being', due to ill health. This time I decided to spend time mediating on Being-in-kindness, and so began to re read Everyday Kindness. I noticed that the little penned stars that I'd used to note all the sentences that resonated with me in my time of fear and illness still had some music to play this time round. But I found others that reflect the “me” of right now. Back then my focus was on me getting comfort to face what was ahead. I didn't really appreciate the other notes playing to me because they didn't have my attention. This time round it was about me being out in the new reality of my life - and moving out of my time of monastical sequestering and mental vulnerability as my body heals. Now I found I was reading/looking for a deeper way of being, as I found myself in the process of moving along the continua of survival (a la Abraham Maslow's hierarchy of need) to self-actualization spiritually as well as in a physical sense. In my search for consolation I went out to my favourite bookshop/cafe and bought a fresh copy of Alain de Botton's Consolations of Philosophy (I'd given mine to someone, hence the gap on my bookshelves and an excuse to enter book heaven with a fragrant cuppa at hand). 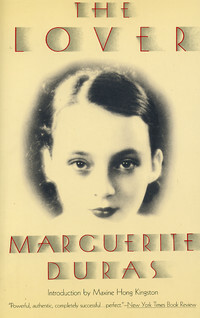 When I first picked up de Botton's book in early 2000 it was for a crash course in all things philosophical as I had committed myself to jumping into a philosophy degree; something I had lusted after since my early twenties when I became friends with my then-boyfriend's mates in the university baseball team. One of those mates was a lecturer in philosophy, the other was his student - and I was the silent witness to their intriguing discourses and merry symposia in the truest re-enactment; food, alcohol and debate. I was very illiterate in matters academe in those days, barely passing high school. 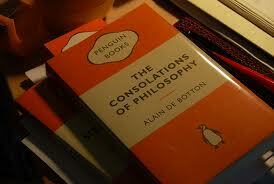 So even de Botton's little book was a purchase steeped in fear and excitement. I swallowed that little book whole. He made philosophy look do-able and enjoyable to read. I always find reading prescribed texts to be a boring venture so I make things a little more spicy looking for books that give me the gist but are eminently more readable/digestible. But when de Botton entitles his chapters Unpopularity, Not Having Enough Money, Inadequacy, A Broken Heart, and also Difficulties suffered, studied written and spoken of by philosophers from ancient to the the present, the book has to be enticing. When I picked this copy of Consolations of Philosophy up again twelve years after the first read, I found heaps of little post-it-notes that explained concepts that I'd needed to know. This time round I was reading it in the light of knowledge and greater understanding and didn't need to know it verbatim until my anxiety had lessened for me to begin to understand it. I laugh as I write this because I am in my body of the time, a sheen of icy sweat on my upper lip worrying that I would interpret it incorrectly. This time round I luxuriated in the smug knowing that I can now have knowledge and power, and don't have to agree with de Botton's view of some of the philosophers' writings. I see that time and technology change nothing. Humans still crave knowledge and certitude, love, self-understanding - and they are still looking for the transcendence of Truth, Beauty and Goodness: the hinting at something greater. Stephanie Dowrick wrote: “Love your life and your body: When you are not sure what this means, simply ask, 'Is this kind? Is this nourishing to my spirit as well as my body?' Let your immediate responses be your guide.” This struck me head on. I had read it before but it hadn't taken root. How is it that someone (me?!) who studies psychology, has studied philosophy and theology not actually asked her body what she feels? It was in this light that I discovered new and refreshing insight in this lovely book of deep spiritual and practical wisdom. These two experiences led me into thinking once again about the states we are in when we read books that we choose and why we make those choices. Both books for me offered/offer me comfort; both are philosophies of living; both are for everyday living; but only one addresses my spiritual needs. De Botton is an atheist and Dowrick is an interfaith minister [as well as a writer and co-host of this Book Club]. Both are writers in the truest sense: they love to reflect on issues, research them and then share their insights in very enjoyable writing styles. But both write from different platforms of seeing the world's richness in shadow and light. De Botton's essence is to live for today, to be present as that is all there is and to be consoled that others are living the same experiences. 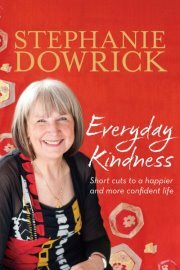 Dowrick speaks to the soul: live fully, joyfully, in kindness today so that you will experience the full potential of the now - but will also have glimpses of what is to come. Follow Peta's bookish thoughts on twitter. You can purchase Peta's recommendations or any other book through our bookstore links (above right) and also support the Universal Heart Book Club. We also love to have your comments. If you don't have a Google email, just use "Anonymous". Follow captcha - two "words" with space between - to save us from spammers. Should be easy! 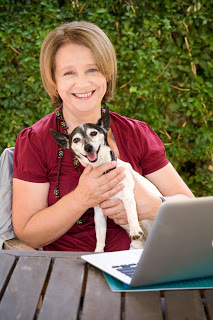 Dr Juliet Batten is a writer, artist, teacher and psychotherapist who has practised meditation for 30 years. 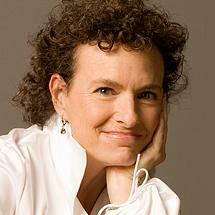 She has worked extensively on environmental and collaborative art projects and written many books. Here she delights in Zen teacher Susan Murphy's Minding the Earth, Mending the World. Susan Murphy’s stories of her bare-foot childhood in Queensland drew me straight into her new book, Minding the Earth, Mending the World. They resonated with my bare-foot childhood in the wet, cool province of Taranaki in New Zealand, and I immediately felt at home with this author, despite her theme of planetary disaster. You see, I’d stopped reading such books. I knew the material all too well and often felt clobbered by the messages of doom. In the seventies I began environmental activism that bore success on a local and national level. Opening to the global scale of our problems was different however. 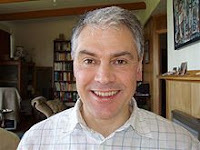 When I tutored in Environmental Studies at Auckland University through the eighties and nineties, the students and I became increasingly depressed the more we learned. More recently, I mentored a young writer who was desperate to get across his messages about climate change. He struggled with depression and chronic ill health. Susan Murphy well understands reactions of denial, guilt, and numbing. Not only does she draw us in with entrancing stories, but she also evokes the wonder of an uninterrupted relationship with raw nature. Then, when she introduces the crisis of our planet, she stretches out two hands. In the palm of one sit the hard facts, from which she does not flinch. In the palm of the other nestles an invitation: to wake up, embrace our wholeness and embark on a great adventure. This was enough to keep me reading. An invitation to awakening? – yes! Instead of outlining all the things I should be doing to save the earth, Susan Murphy offers a vision of how to be. 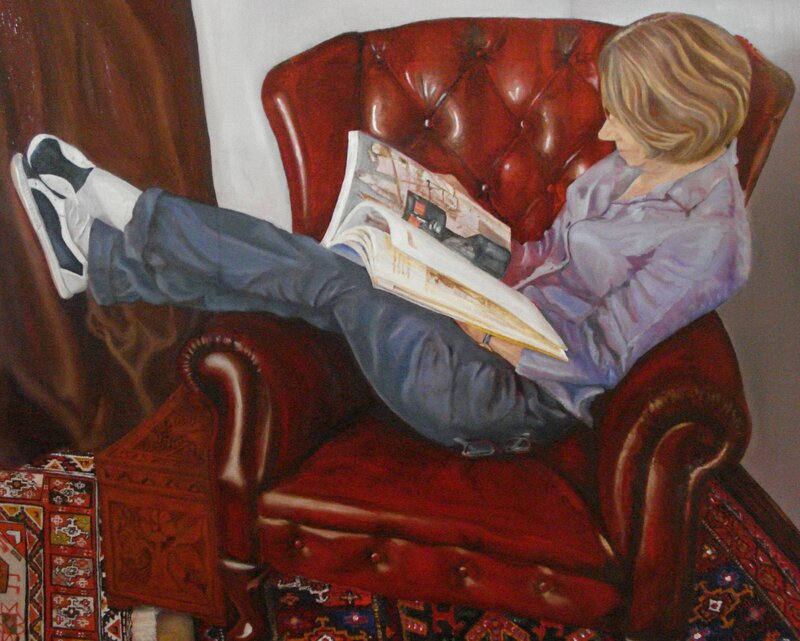 She takes the reader into an ongoing process. And so the simplest act of opening, connecting, expanding that we may do, becomes a contribution. Rather than address the global crisis as evidence of our 'badness' as a species, she says: ‘Every crisis is the chance to see what we have been missing.’ Through story and a wide, inspired perspective, she opens us up to the missing realms, taking us with her to walk through new places and to find the ‘whole response’. Her capacity for paradox gives me the courage to feel my pain. (Don’t go mad, wake up, Susan insists.) 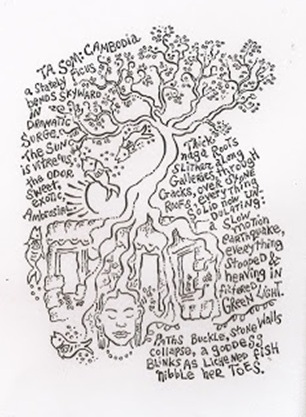 She offers new stories about ‘a return to wholeness’, reminding us that ‘stories may be our strongest protection against forgetting who we are.’ Her teachings land with a splash and a gurgle, before sinking into still depths beneath. This is the level of guidance that I’m hungry for. Children must be free to wander and play in wild nature, and find a close relationship with it. The state of ‘wide-bodied field awareness’ that naturally comes from being close to the land may also be cultivated through meditation. 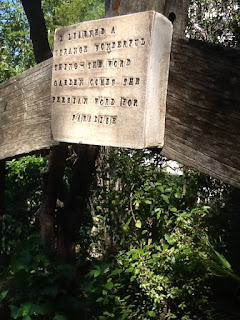 As I walk through the bush in New Zealand with my four-year old granddaughter, showing her the tree where her whenua (placenta) is buried, I understand the imperative of fostering this connection for the next generation. Susan’s book affirms that by attending to such processes we contribute to the healing of the whole. 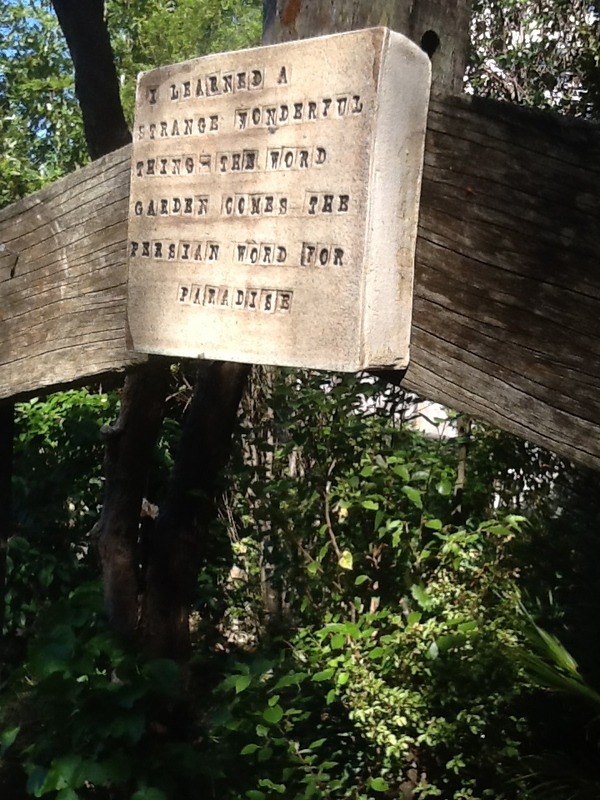 ‘Never give up on an adventure,’ was Susan’s childhood motto. In her book, she awakens us into a larger concept of humanity that embraces all of life. Never has the human race been so called into unity. The common threat restores our common destiny as a species and opens up possibilities greater than we may ever have imagined. To hear Susan Murphy talk about her book, use this link. To read her reflections on writing it, this Universal Heart Book Club link offers lovely insights. To purchase her book - or any other - please use the book store links (above right). The small % of sales returned to us offers vital support to this Book Club. We also love to hear from you so, please, freely comment in the box below (use "Anonymous" if you don't have a google email a/c). 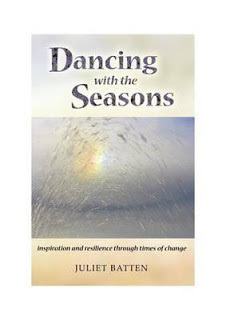 To learn more about Juliet Batten and her writing, visit her website http://www.julietbatten.co.nz or her beautiful "seasonal inspiration" blog.